A new traffic signal is now on Sunset Boulevard. Some drivers have reported they are unsure of how to proceed when the lights are flashing red. 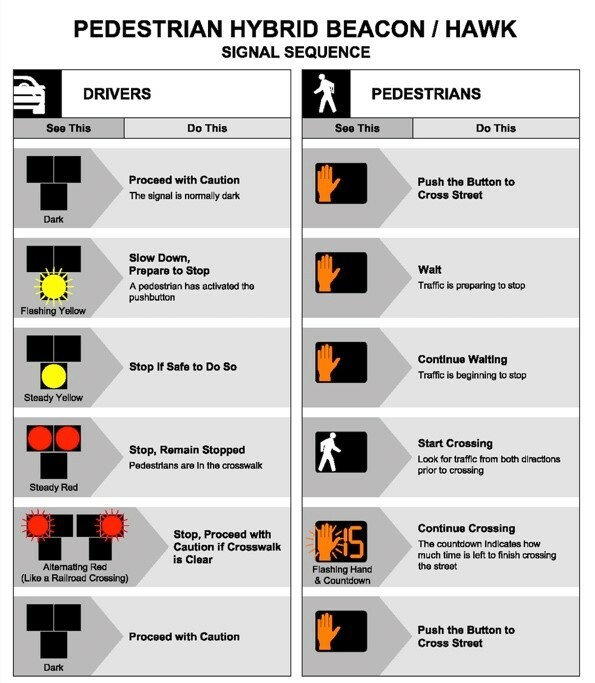 Drivers should treat the flashing signal as a stop sign and proceed when the roadway is clear of pedestrian traffic. The City of West Columbia has installed new signs to help drivers know what to do. The on-demand signal known as a High-Intensity Activated Crosswalk Beacon, or HAWK, allows pedestrians to safely cross the busy roadway between Capitol Square Shopping Center and the House of Raeford poultry processing plant. The HAWK is a traffic control device initiated by pedestrians that intermittently halts road traffic and allows people to safely cross at a specific stopping point. Motorists first will see the flashing yellow light as a warning to slow down and prepare to stop. 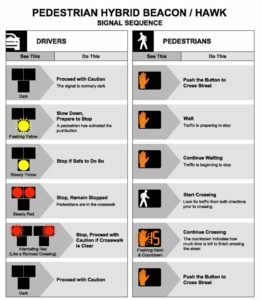 When motorists see the solid red light, they must stop until all pedestrians safely cross the road, the solid red light then turns to a blinking red light. At this time, the light should be treated as a stop sign and motorists can proceed if the roadway is clear. The light will then turn off and traffic can proceed as usual.